The idea of planning for the upcoming season is one that’s been talked about over and over again, and by now you’re probably well aware of all of the things you need to consider. From carefully crafting your schedule to ensuring you have places to stay, traversing the nation to play disc golf is no small task. However, there’s more to life on the road than just driving and competing. Unless you’ve got a huge wad of cash in your bank account, there’s a good chance that you’ll need to think about supplementing your income while on the road. While it’s a nice idea to think that you can maintain your cash flow by winning tournaments, that kind of pressure will eventually burn you out. Instead of relying on a solid performance weekend in and weekend out, what else can you do? If you’re on tour then we can assume that you’re exceptionally skilled at the sport we all know and love, making you pretty darn qualified to teach others how to play. There’s still time left before the season really gets into high gear for you to be able to coordinate clinics and events that line up with your touring schedule, so consider if this may be the right move for you. Not only does running clinics help to pay the bills, but it strengthens your relationships with players and clubs across the country. You’ll help to grow your personal brand and of course, spread the disc golf love even further than you thought possible. Given that there's not a tournament taking place all 52 weekends of the year, you'll likely be able to fit some teaching time in pretty easily. Nowadays we see tons of players opting to get custom discs, apparel, and accessories made with their name, face, or brand on them. While opinions can be somewhat polarized on this issue, there’s no denying that jumping onto the merch train does have its benefits. Think about the fact that you could be selling items online and making money while you’re on the course and see if it changes your mind. However there are several major issues to consider when it comes to this type of situation, and while there’s still time to place an order for items before you hit the road, think about how you’ll replenish your stock and more specifically, where you’ll ship it to. The idea of carting around extra items isn’t always ideal either, especially if you have a smaller tour vehicle. Between online sales and setting up shop at events, you’ll probably do pretty well for yourself, but remember there’s the initial cost of ordering product before you start to see a return. These are just two of the more popular ways that touring pros can make extra money while on the road during the 2019 season. While it’s obviously impossible to keep a part-time job if you’re on an extensive travel schedule, try considering some other more creative ways to keep the cash coming in while you play. If you’ve been on tour before we’d love to hear from you - have you hosted clinics or tried selling merch? Did you have a lot of success or were the logistics of it too difficult to manage? Feel free to share with us in the comments below. As if playing across the nation in some of the sport’s most prestigious events wasn’t enough, both Zoe Andyke and Dustin Keegan have spent enormous amounts of time building their nonprofit UPlayDG. With a mission to teach disc golf to students all over the United States, and eventually the world, they’ve spent every ounce of their non-touring time creating a system that will be instrumental in growing our sport. Some unusual things happened in 2018 that may have at the time felt like monumental challenges for the UPlayDG team, but toward the end of the season, the stars aligned for Zoe and Dustin in a big way. Let’s check out what’s in store for 2019 and see just how impactful of an organization UPlayDG is going to become. Once things settled down a bit back in their home base of Eugene, Oregon, Zoe was able to rejoin Dustin on tour for the last few months of the season. “Magic happened while we were on tour from August to October. We were networking and found ourselves in unbelievably special and opportune spots and in front of opportune people to help us strategically grow our nonprofit,” she said. Plans for next year are already in full swing, and while we can’t reveal the specific details just yet, there are some exciting items in the works. The team will kick things off in January in California with a workshop that’s designed to really take their teaching curriculum to the next level. The goal is to standardize their system in full so that schools will have a formal application process to complete before Zoe and Dustin head out. Other highlights of the coming year include a major collaboration with notable disc golfers in Canada as well as plans to join forces with some well-known Estonian players and instructors. With all of this in store, plus going on tour, Zoe and Dustin also hope to reach at least 10 different schools over the course of the year. Keep in mind, it takes an immense amount of time and dedication to spread the sport of disc golf to students worldwide, and if you feel called to help, visit the UPlayDG Donate section of the website. We’re excited to see Zoe and Dustin excel this year both on and off the course! In hopes that tournament day soon would be there. While visions of Ace-Runs danced in their heads. Had just settled down for our pre-tournament nap. Tore open the shutters to see the truth. Giving a luster of midday to the basket below. But a commander bag packed with eight discs in pair. I knew in a moment he must be the disc golfing St. Nick. Then he looked in his bag and called each disc by name. Bio Witness and Justice, Classic Warden and Slammer. Now fly away, fly away, fly away all. 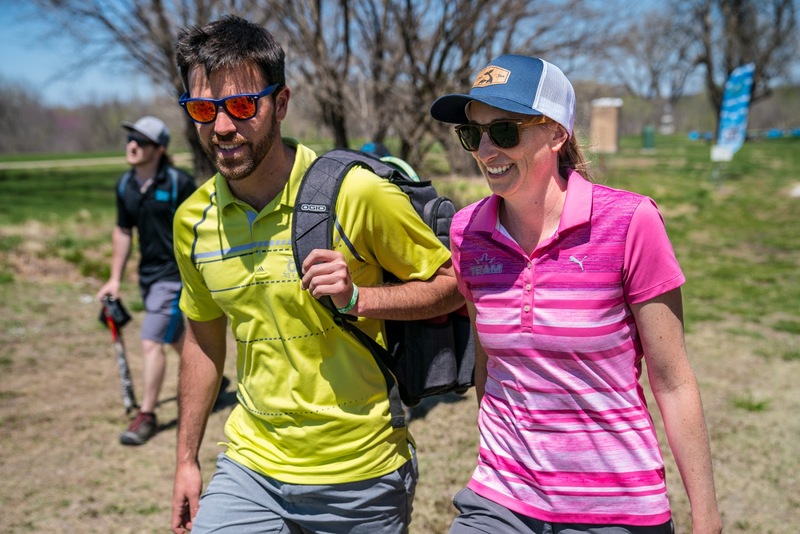 Earlier this year we had the chance to chat with DD team members Dustin Keegan and Zoe Andyke, the brains behind one of disc golf’s most exciting non-profits, UPlayDG. 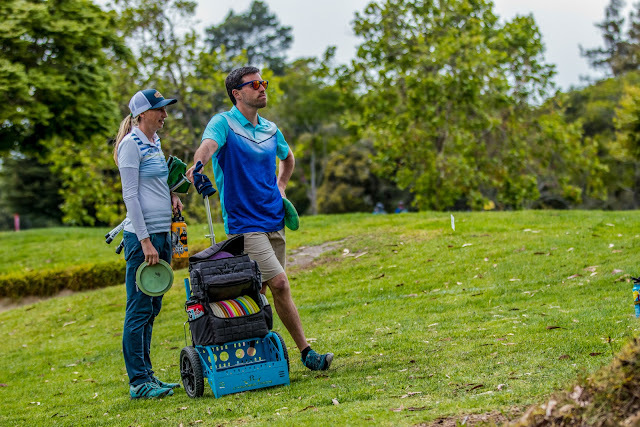 The two of them, together with a talented set of board members, have created the structure to implement a unique disc golf curriculum in schools across the country. From teaching youngsters all the way to seniors in high school the basics of the sport, Zoe and Dustin have been quite busy balancing this work with their touring schedule. As the year is about to close, UPlayDG is embarking upon one of their most important events yet - a fundraising push to make 2019 even bigger and better than ever before! In Part 1 of this double feature, we’re going to spend some time exploring what the group accomplished this year and how you can contribute to their cause. Running any sort of organization is a time-consuming and challenging task, and when you’re looking at everything that’s involved in maintaining a non-profit, it’s shocking to realize just how much these two got done over the year. Despite touring extensively across the nation, Zoe and Dustin have held 11 board meetings this year and completed a board retreat, bringing together everyone from across the country to flesh out the future of UPlayDG. Let’s be clear here - UPlayDG’s mission to spread the sport of disc golf to kids everywhere is not about making money, and anyone who knows Zoe and Dustin can tell you that firsthand. However, everyone has bills to pay and if the nonprofit can partner with schools in such a way to where it’s affordable for all, that’s obviously a win-win situation. During this month, however, disc golf fans around the world can play their part in helping UPlayDG to reach more students than ever before. They are holding a fundraiser for the entire month of December, and if you donate, you may end up getting some pretty sweet gifts. A $25 donation gets you a UPlayDG mini, and $50 also gets you a disc. For a $100 donation, you’ll receive a mini and a disc signed by both Zoe and Dustin, and $250 earns you the signed set plus a presence on the UPlayDG website if you so desire. If you feel called to help support this incredible team in their mission to spread disc golf, visit the Donate section on their website. You can also help every time you place an order on Amazon by visiting smile.amazon.com first and selecting UPlayDG as your nonprofit. Check out Part 2 and learn more about what’s in store for 2019! You may remember a picture that went viral a few months ago within the disc golf world, as Pittsburgh Penguins goalie Casey DeSmith was seen with a disc golf basket on his helmet. Although he’s only been throwing discs for about three years, his love for the sport grew instantly and was so strong that he just had to represent it on the ice. Casey is now a part of the Dynamic Discs family and we spent some time getting to know a little more about his disc golf game, what he loves to throw and where, and how disc golf has helped him on the ice. Disc golf fans everywhere can thank Casey’s Uncle Matt for introducing him to the sport, as a YouTube video search gone wrong brought about a pretty incredible set of events. While searching online for something related to mini golf, Uncle Matt came across disc golf and thought it looked fun. He paid Casey a visit and the two of them, along with Casey’s dad, went out to purchase a few discs. “From the moment I first tried it, I thought ‘I need to be good at this.’ It was the perfect sport for me. We played four rounds in one weekend,” Casey shared. Like so many others, the disc golf bug hit him hard and fast. This love for the game is what led him to include a disc golf basket on his helmet, and once that news spread across the internet, he started fielding calls from disc golf companies who wanted to sponsor him. It’s obvious that DeSmith is a natural athlete, but how does he manage to stay sharp on the ice and also keep his disc golf skills in check? His goal during 2018 was to play at least one event, which he did at the Pittsburgh Flying Disc Open and placed 35th out of 48 in the Open field. In 2019, he hopes to work a few more tournaments into his schedule. 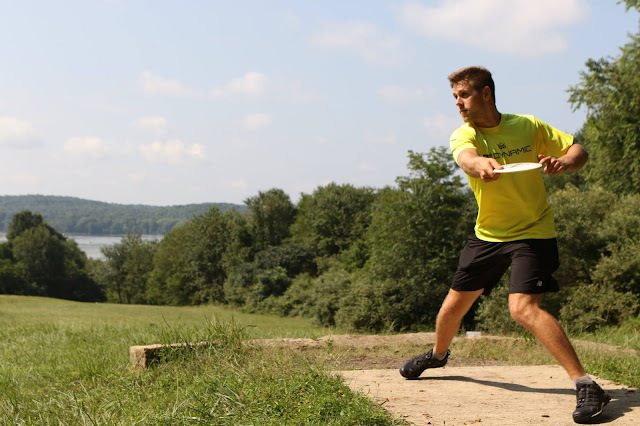 When he’s not playing hockey, Casey loves to visit Maple Hill, Salmon Falls DGC in his hometown of Rochester, New Hampshire, and Moraine State Park in Portersville, PA. You can find him almost always bagging his three favorite discs: the Enforcer, an EMAC Truth, and the Warden. With an upcoming wedding in the summer of 2019 and a busy training schedule with the Penguins, you can bet that Casey will still be out on the course improving upon his disc golf skills. So far it’s been awesome to have him as a part of the DD family, especially since his love for the game is so apparent, “[Getting sponsored] was very unexpected. I didn’t put the disc golf basket on my mask to try to get sponsored, I just love the sport and wanted people to know about it.” Thanks for spreading the disc golf love Casey and we look forward to seeing what 2019 brings! Depending on your age, this article may mean different things to you. Players who read this and are still in high school only know about the world of live tournament broadcasting and being able to interact with your favorite players on social media while more experienced lovers of the game remember when tutorials on YouTube weren’t even a thing. The ways in which technology has shaped us as a whole are pretty incredible, but even when you zoom in and look at disc golf specifically, the resources we have now have played a major role in the development of the sport. Don’t think so? Let’s look at just a few examples. Back in the 1970s, disc golf tournaments were advertised through paper flyers and word of mouth. That’s it - no social media channels to post on and no way to text all of your friends about the next big event. Back then, it was crucial for disc golf clubs to have impeccable communication not only within their own group but with neighboring associations as well. Anyone who has run an event in recent years knows that the tools of online promotion, registration, and the dissemination of schedules are pretty easy compared to how it used to be. Not only can we offer tournaments with greater frequency, but we’re also able to more easily team up with sponsors to make sure they’re a success. Imagine how good of a disc golfer you’d be in 2019 if there was no such thing as the internet. The discs you purchase would be solely based off of word of mouth opinions, and the ways in which you play would be strongly influenced by those around you. There’s something to be said for the simplicity of a time gone by, but how much better could pros back in the day have become if they would’ve had more tech? 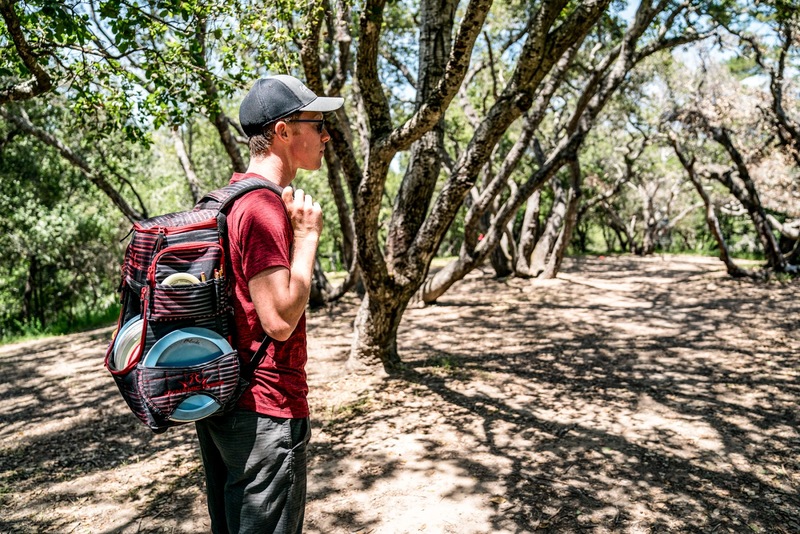 Nowadays, a brand new disc golfer has almost too much information at their disposal. From a plethora of disc reviews to countless videos demonstrating various forms and techniques, anyone can pick up the sport easily and have a decent amount of success. How did players learn about new courses in their area and beyond back before the internet days? You guessed it - word of mouth once again. Three hours away from you, lovers of the sport may have been working to install several new layouts and you’d never know unless you hopped in the car and went for a drive. Those interested in watching bigger events had to either visit the tournament in person or simply hear about it from friends. With the implementation of tools like UDisc and additional course review websites, you can learn specifics about courses that are thousands of miles away. Let’s not overlook the importance of both live and post-produced tournament coverage as well, a feature that’s really helped to push the sport in front of more eyes than ever before. When you think about it, the spirit behind disc golf has pretty much stayed the same over the last several decades, but the ways in which we engage with it are so different now. Is it better? Do these tools really help us? Share your thoughts with us in the comments below. We can’t believe it’s that time again - it seems as if the moment Halloween decorations come down, holiday decor is already up! Some wait until after Thanksgiving to deck their halls, but there’s no denying that savvy shoppers are already starting to think about their gift list. If you procrastinated last year or simply had no idea what to buy some of your closest friends, we have a few ideas for you. Last year we featured a lot of smaller items that you can buy as stocking stuffers, including minis, apparel, and gift cards for those who are slightly pickier. This year, we’re focusing solely on plastic as we have some pretty unique options for the disc golfers in your life. While this probably toes the line between an appropriate holiday gift and something that’s awesome for your next tournament, we figure it’s worth mentioning nonetheless. After all, when you understand how much time and energy goes into running an event, anything that others can do to help is like a gift in and of itself. 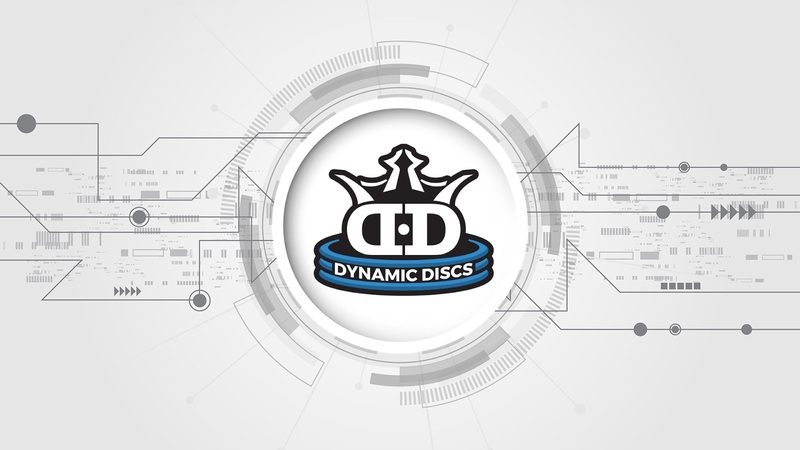 Dynamic Discs recently announced on our Facebook page the new Custom Run program, which allows you to take your tournament discs to another level. This program is designed to better support your event or even a personal business by helping you to create and promote a unique new product. This allows your local disc golf scene to better market your brand through the design of really awesome discs. If you’re interested in the Custom Run program, and perhaps want to give the gift of discs to your loved ones, contact us on Facebook. Have you ever wondered how so many people seem to throw DD plastic that has some crazy stuff on it? Whether it’s a picture of someone’s face, a beloved pet, or just a super cool design, our DyeMax program has been able to help you express yourself through your discs for years. While we have come up with some really cool designs that are ready to purchase, we also encourage you to design something that’s all your own. In most instances, our team can convert your image on to a disc in as little as 48 business hours, but we don’t advise that you wait until the last minute to place your order either. Shopping on December 23rd isn’t great for anyone, right? It pays to plan ahead, so make sure to carefully read all of the requirements before placing your DyeMax order. 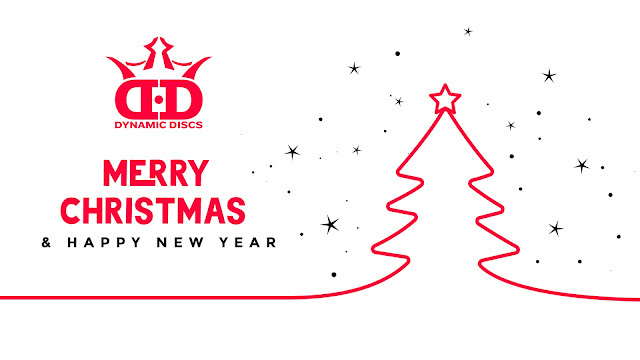 Discs for the holidays is always a good idea, and whether you’re in need of a gag gift for a white elephant exchange or you want to design something that’s meaningful for your special someone, both of our custom programs are ready to make your dreams a reality. 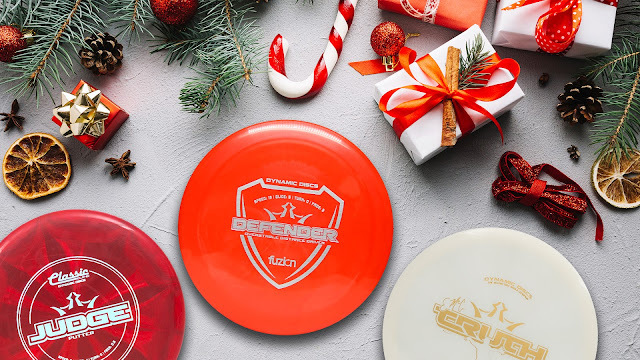 Don’t forget to buy a little something for yourself as well, and make sure to check out everything in the Dynamic Discs store for additional gift ideas!